Thank you so much for your response to Graham’s birth story I posted yesterday. 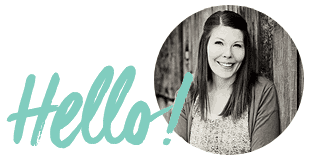 I’m so grateful for all you kind wonderful friends that I’ve made through blogging these past 4 years. Seriously, you are the best. 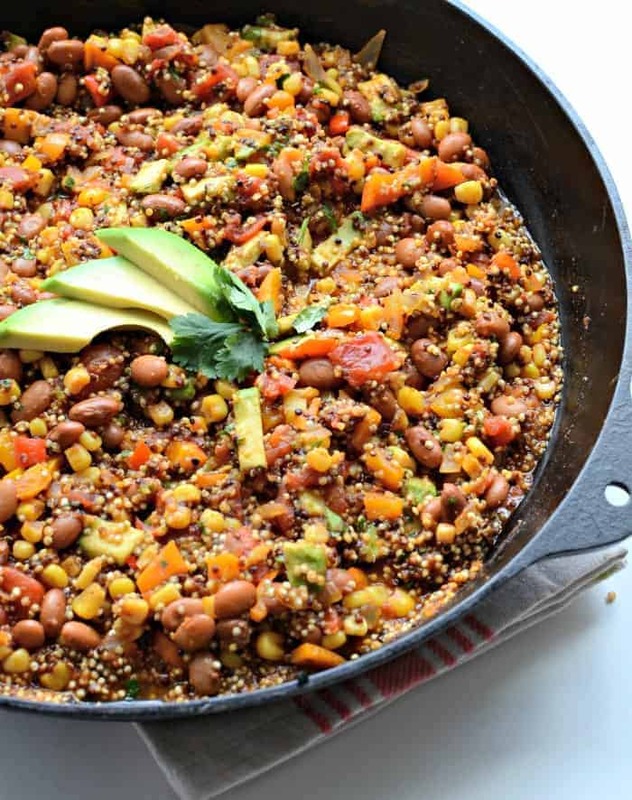 Today’s Healthy One Pot Quinoa Taco Casserole is my gift to you. I’m sure we are in the same boat – school is back in session, lessons and activities are picking up, and my personal goals and priorities have taken a bit more of a front seat than they did this summer. I’m taking a little more time to meal plan, eat well, and exercise (because I only have three kids at home during the day now!). That doesn’t mean that I want to spend the few hours that I do have all my kids at home with me cooking though. My meal plan this month has slow cooker recipes 3 days a week, which I prep and get going during lunch. The other two weeknights are quick and easy one pot kinds of meals. Planning ahead means we are eating well, but I’m also spending my time in the kitchen wisely and enjoying my kids while they are at home in the evening. We love all things Mexican, Tex-Mex, and taco-y, and this taco casserole is no exception. Eat it like a chili or stew, or throw it inside of a taco shell! You can also use it in taco salad, on nachos, or on top of baked potatoes. It’s a versatile dish that comes together without much work, all in one pot. We all need less dishes in our lives, am I right?! Meatless Monday just got tastier. The avocado in this taco casserole is super smooth and creamy. I felt like it really made the dish. 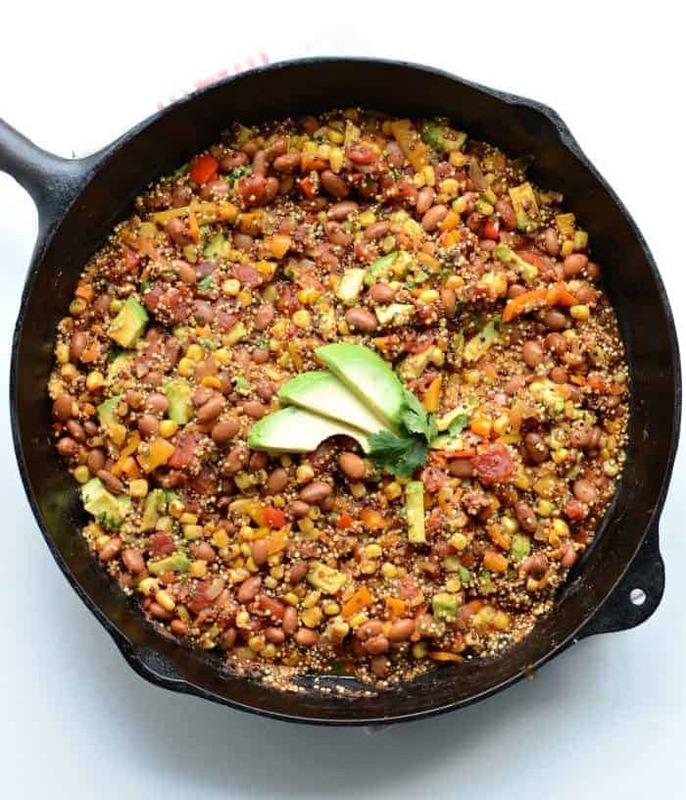 And if you are new to quinoa, make sure that you wash the stuff well in a small strainer, or it will taste like soap and ruin the whole dish. I learned this the hard way the first time I cooked with it. Unless the packaging says prewashed, you need to spend a few minutes rinsing it under running water. If your strainer is too big, try laying a bit of cheesecloth in the bottom. In a large skillet add the oil, onion, and bell peppers. Cook over medium high heat until the vegetables start to soften, about 5 minutes. 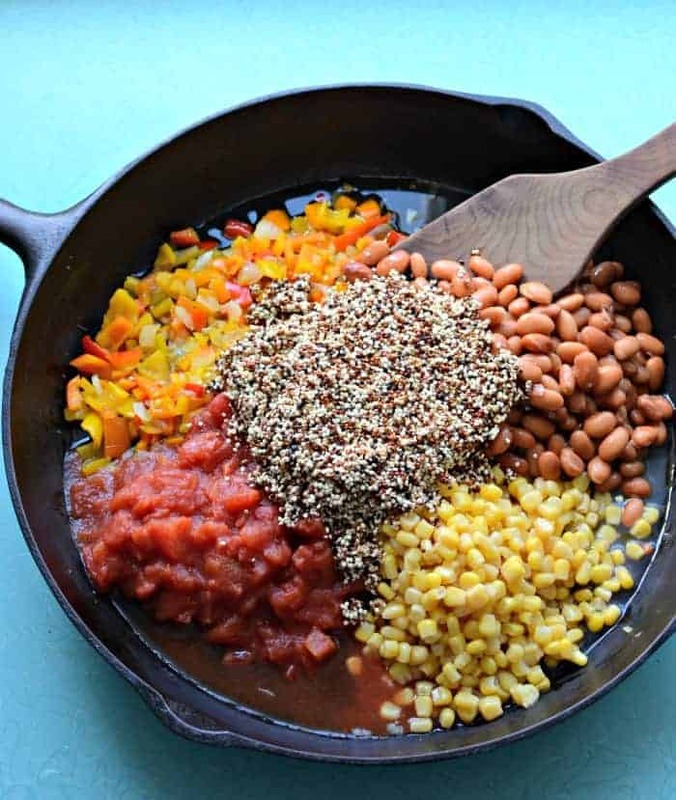 Add the quinoa, broth, beans, tomatoes, corn, chili powder, cumin, and salt and pepper. Stir well to combine. 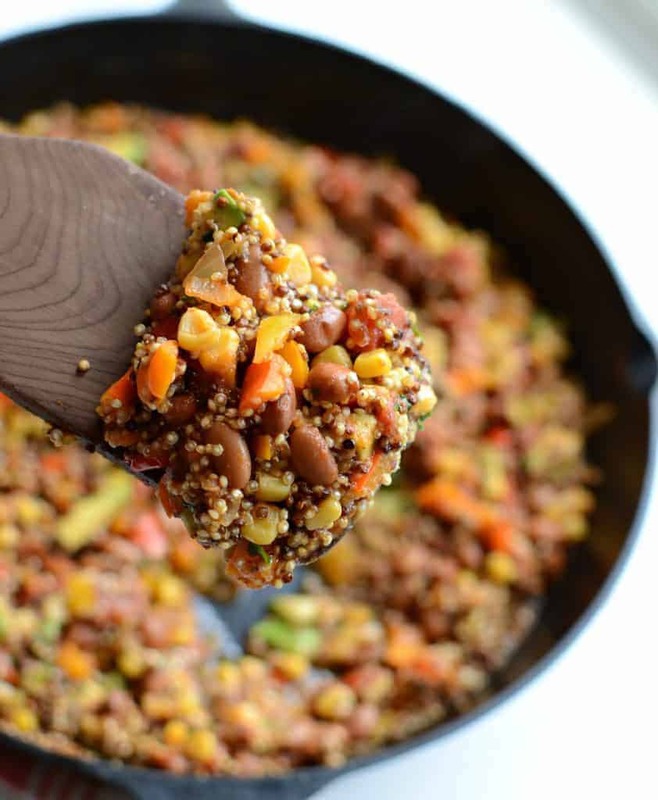 Cover and continue to cook over medium high heat until the quinoa us cooked, stirring occasionally, about 20 minutes. Remove from the heat and add the avocado, lime juice, and cilantro. Adjust the salt and pepper to taste. Stir to combine and serve right away. 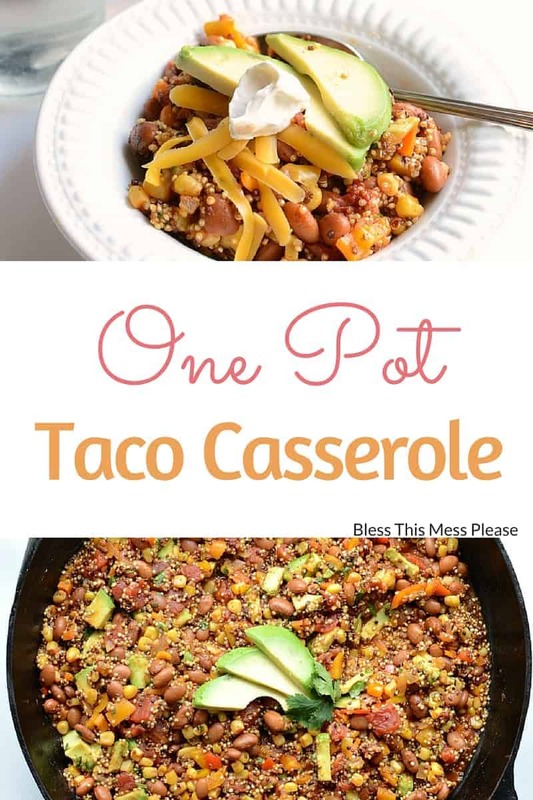 You can serve this dish its own just as it is but it’s also excellent with a little cheese and sour cream on top, used as a taco filling, on top of baked potatoes, in taco salad, or even to dip tortilla chips in. 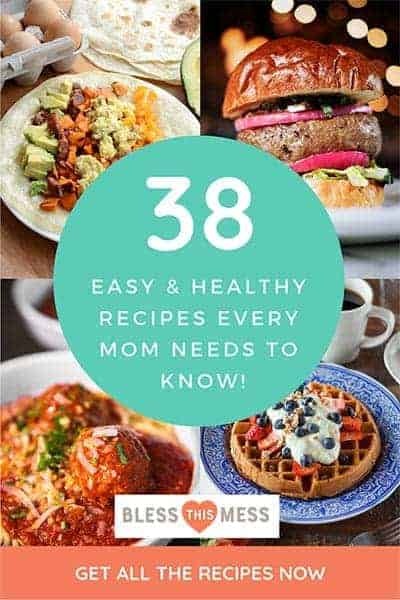 This recipes is very flexible. 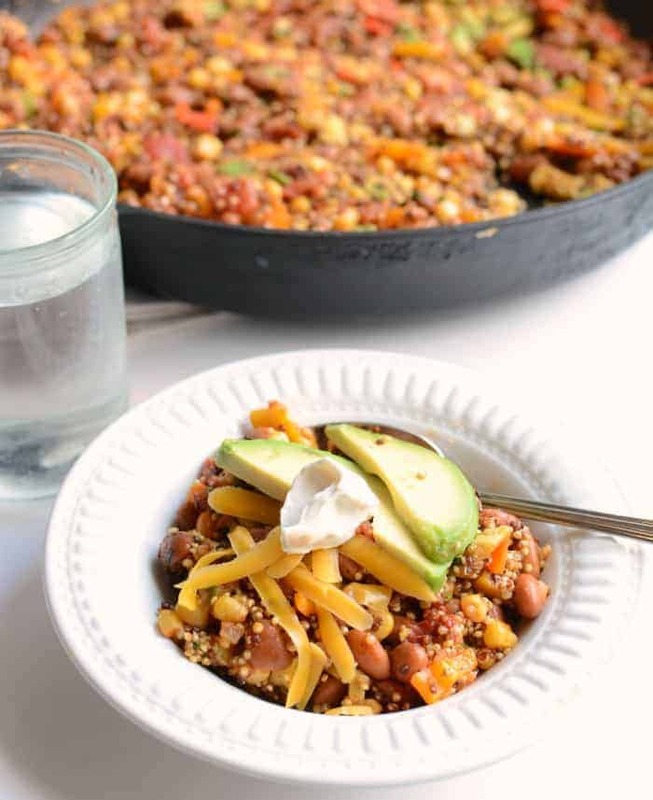 You can use the type of quinoa you like (red, black, white, or a blend), as well as the type of beans your prefer (black and small red beans are also great in this). Isn’t that pretty? If you like a little heat, you can add a chopped jalapeño or two. Mmmm! Quick, easy, healthy, and delicious. You are going to love this one! Hey this is really good even when you don’t have avocado, cilantro or chili powder. Threw in a hodpodge of powders(ancho, pasilla, chimayo chilis), oregano and garlic powder. Forgot the lime. DRATS! So I compensated by plenty of cheddar cheese and sour cream! Hit the spot! Thanks!! Not always huge quinoa fans, but this was delicious! Quick & easy, too. I feel the same way but with all that flavor in there with it, it’s great! Thanks for leaving a great review.